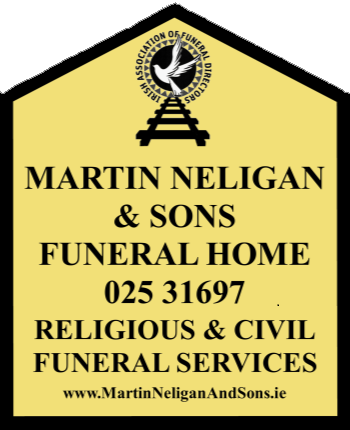 If you wish to place a death notice in the Newspapers, Radio, or RIP.ie, Martin Neligan & Sons Funeral Directors can help. At Martin Neligan & Sons we have vast amount of experience in drafting death notices. We can assist you with the wording of the notice, the format required or you can provide us with a completed death notice if you wish. Once the notice has been completed and agreed, we will place the notice in the medium of your choice.